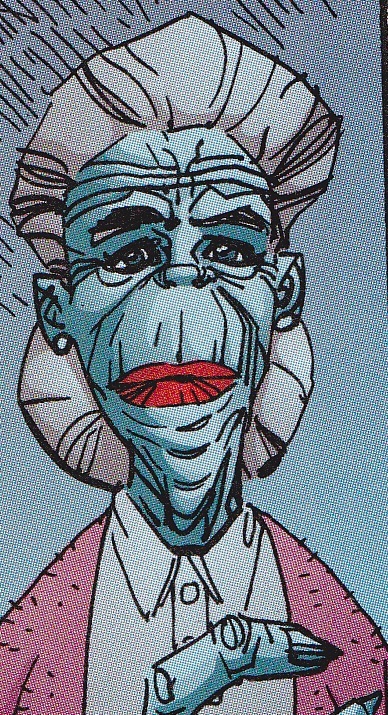 Barbara is the mother of sometimes villain Neutron Bob. She is very devoted to him and continues to treat him like a child. When Neutron Bob is critically injured by Kurr, she visits him in the hospital. She is later held hostage by the VC who want her son to help rob an arms base. However, she knocks out Warfare and is able to take care of herself. After becoming sick she is visited by her son who had his powers negated. She tells him if he wants his powers back, he only needs to get a blood transfusion from her.